Jason was born in Wolverhampton, and graduated from St Martins in London with an honours degree in painting. This was followed by a postgraduate degree in printmaking from the Central School of Art, London. Jason says his work is based upon the british isles, it’s weather, light and colour. All Jasons work is begun outdoors, carrying the minimum of equipment, he will walk and climb the area for days and sometimes nights, usually in extreme weather. 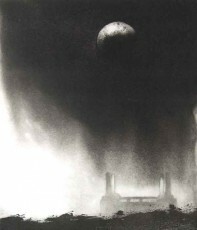 Jasons etchings of the British Isles are panoramic, capturing the drama of the constantly changing weather. Like Canaletto or Turner, each scene is saturated in a distinct quality of light, we feel the season, the time of day, the reflections of the riversand the huge space of skies and land. Jason has an affinity with the land and many hours spent walking these hills, lands and coastlines allows him to create certain effects so vividly that his work stands out as exceptional amongst landscapers.